Be resilient this year by sowing all sorts of different vegetables, and even trying something new. It could become your new favourite, which is what happened to us when we first grew crookneck squash (Cucurbita pepo) one hot dry summer…and had a bumper crop. We’ve sown crooknecks every spring since then, although if we have a damp, cool summer they sulk while other types of courgettes leap out of the ground. The weather can be unpredictable; it’s seldom a good year for everything, but it will be good year for something. 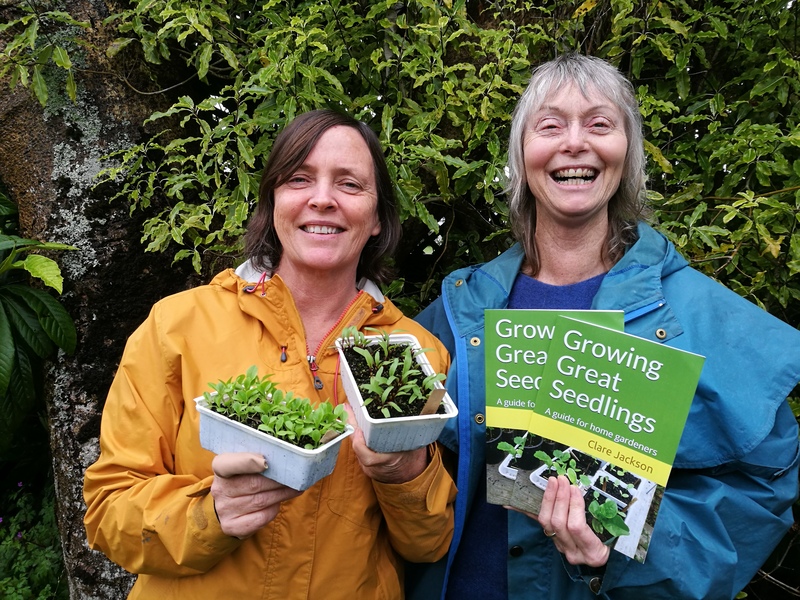 Our ebook, Growing Great Seedlings is now in paperback! From choosing seeds to making potting mix, transplanting and feeding, its all in here. To celebrate, we have some copies available for just $18.00 each (pick up or $3 p&p within NZ). Email Clare if you’d like one. Pets are part of the family, so include them in your garden plans! Grass Keep it longer and thicker - a longer lawn copes better with toilet stops. Another benefit - you won’t have lawn prickles if grass is maintained around 10cm long. In hot weather a deep, soft lawn is much cooler for fur kids to lie on. Planting Create a natural barrier between dog and garden by planting the more robust species along garden edges, with softer plants on the inside. If possible, buy larger plants, these will withstand a bit of trampling from the start. 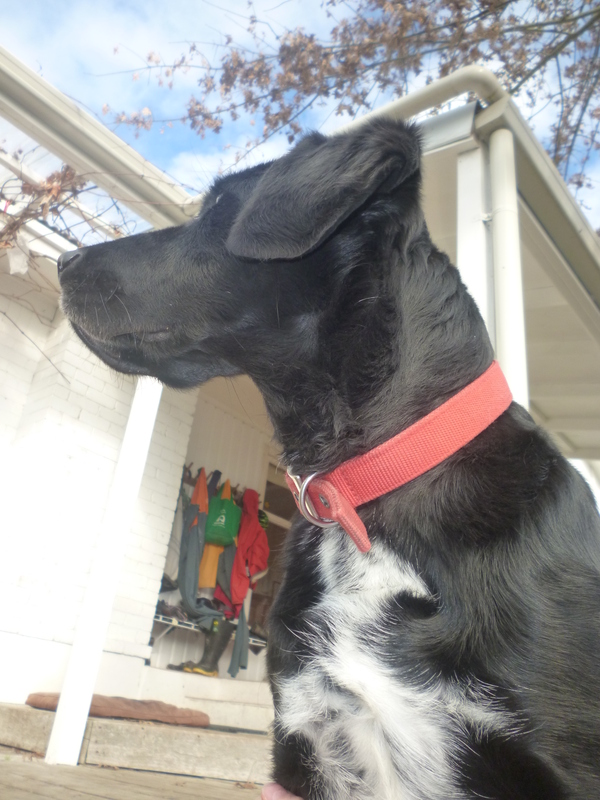 A surprising list of garden plants are poisonous to pets (eg tomato), so do your research. Edible grass Grow a supply of fresh grass in pots (seeds for cat grass are available from Kings Seeds). Both cats and dogs will enjoy a chew. Pesticides and herbicides Most of these are highly toxic to cats and dogs and are easily absorbed through sensitive paws and noses. We recommend you avoid them if you’re concerned for the welfare and health of your pets. Your dog and cat will thank you! Shade and shelter Well sited hedges and trees regulate the temperature, clean and filter the air and absorb noise. Make sure there’s a spreading shade tree, cosy corners to curl up in and a safe hidey hole for a cat to peep out from. 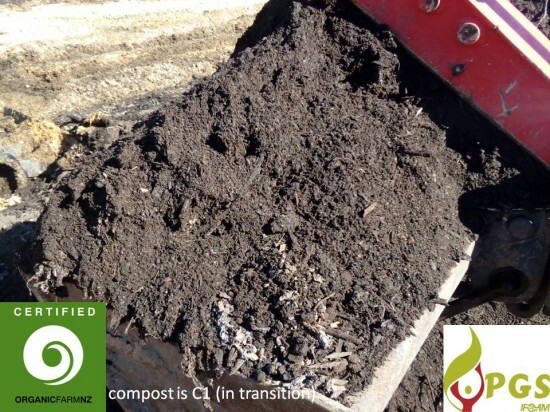 Safety Secure the compost, recycle and rubbish bins to prevent choking or poisoning (and mess!). 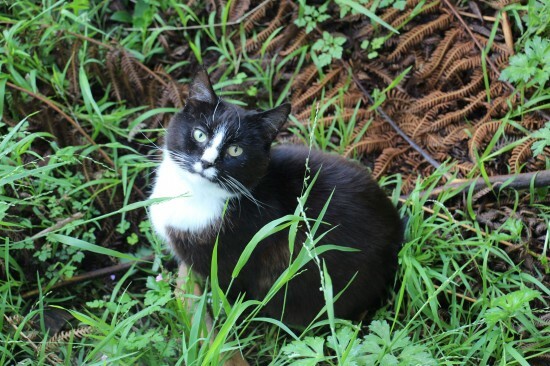 Keep the cat inside at night for its own safety and to protect native birds and insects. No go zone Fence off the veggie garden if you can. 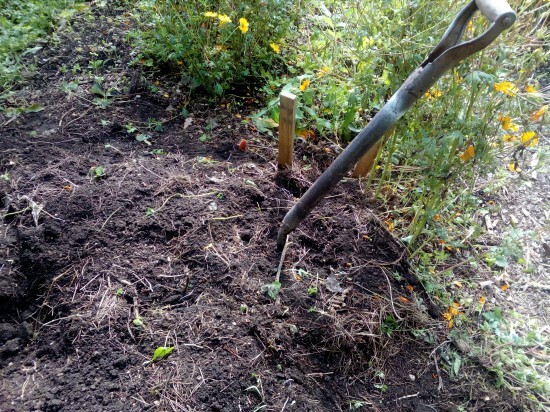 Of course, a fence won’t stop the cat, but you could spread crop cover over vegetable beds to stop digging. Fun and games Dogs enjoy some shrubbery to fossick about in, and a perimeter to patrol. Establish a designated digging area in the garden. This could be a patch of loose soil or sand, tucked away out of sight. Cats feel safe and superior when they can keep watch from up on a flat-topped fence or post. Special offer! 25% discount on GreenFootprint Garden Consultations for the month of April. Would you like your garden to be more pet friendly, sustainable and beautiful? contact me for professional garden advice. $150 incl. per one hour visit (includes written report). Travel costs apply outside Hamilton City. Can you ‘grow your own’ retaining wall? Every slope is different. There are situations when an engineered retaining wall is required. Other times we find that a living, green retaining wall of native plants looks great and works beautifully. It’s all about choosing a diverse range of plants that are self sustaining while needing minimal maintenance. 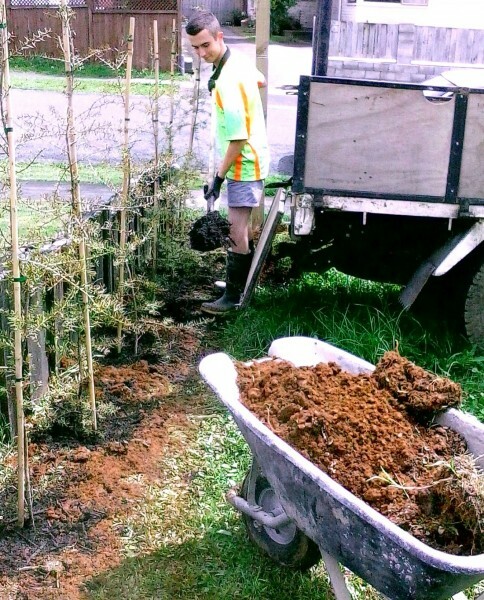 Fast growing, short lived native plants are fine, as long as their replacements (the next stage) are planted at the same time. Ideally, there will be two layers of plants growing under a dense upper canopy: that’s 3 layers of plants between sky and soil. Email us if you'd like to know more. An hour’s gardening in August is worth three hours gardening in November. 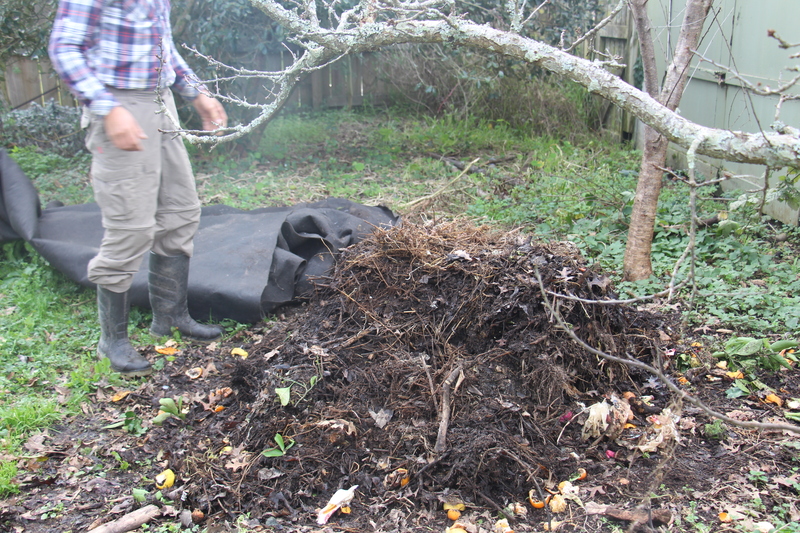 We love winter: soft soil, weak weeds, a steaming compost heap.. Ferns are so useful and lovable; they manage to look architectural, ethereal, and Jurassic all at the same time. 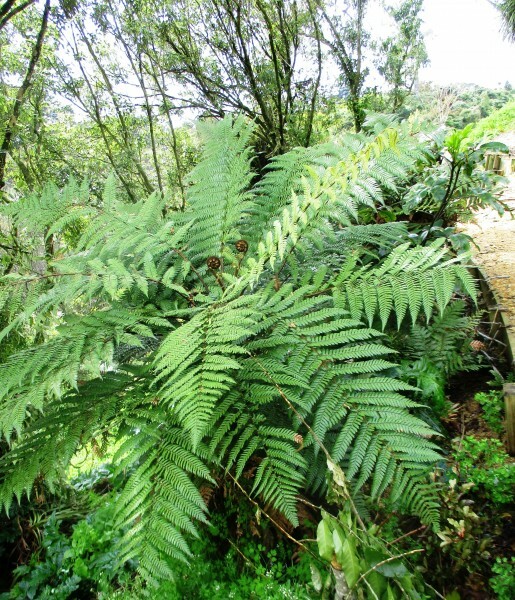 And most backyards can find room for a fern garden, because all they ask is a cool shady zone that is out of direct sunlight. 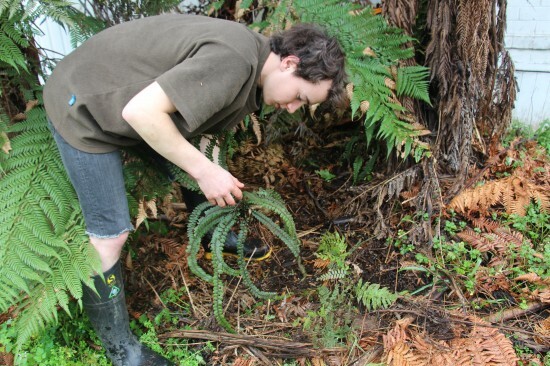 If you didn't catch our recent article on cultivating ferns, read online here or email us for a copy. Winter downpours give gardens a real hammering, because heavy rainfall can wash away our most precious resource - topsoil. Shake all the soil off the roots when you're pulling out weeds and crops, or better still, dig them back in. Sow a cover crop (such as buckwheat). A cover crop doesn't just protect the soil from erosion, it's a living carpet which adds nutrients and suppresses weeds. Spread woodchip mulch to feed hungry microbes and kick start the humus factory. Hedges are versatile, beautiful, sustainable, fashionable..and a big investment. Do you want edible, native or evergreen? Tall or short? In this photo we're planting a hedge of totara (Podocarpus totara). Totara is slower to establish and a little prickly, but makes a nice thick hedge and depending on the cultivar you choose, comes in tones of green, yellow or even blue. Read our other picks for great 'living walls’ and tips for keeping them in shape here or email info@greenfootprint.co.nz for a copy.